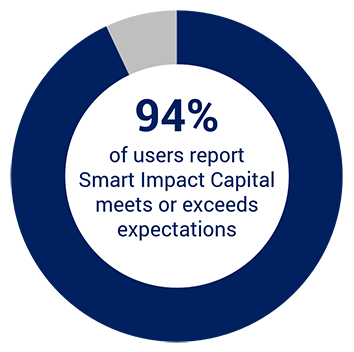 Built from the expertise of hundreds of investors and entrepreneurs who have invested and raised millions of dollars, CASE Smart Impact Capital is designed for all impact ventures – any stage, any sector, any geography. Whether you are a nonprofit or for profit, our toolkit contains practical steps you can take to use your capital-raising time wisely and get back to running your social venture. Learn key concepts through short videos. Analyze options with our decision tools. 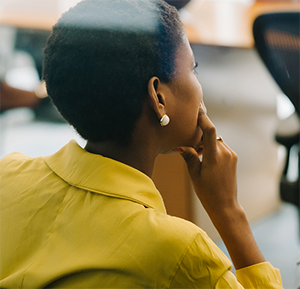 Use our step-by-step guides to find investors, pitch your story, and more. Access investor databases, due diligence checklists, and term sheet from around the world. We’ve created unique resources and collected the best from others – organized all in one place for you and your team to access anytime, from anywhere. From start to finish, you can skim the toolkit in a weekend. But with over 100 resources, you’ll want to come back to dig into the exact topic you need just when you need it. Think business school rigor in a guidebook format – online so you can access it whenever and wherever you need it. Click the button to download our Investor Alignment Tool, just one of the 100+ resources available in the full toolkit. Use this tool to confirm the knockout and fit criteria you’ll use to evaluate potential funders, then see how investors stack up against this criteria. In the end, you’ll spend your precious time pursuing only the investors who truly align with your venture – and avoid wasted time, money, and effort on funders who don’t fit your needs. The video below gives a quick walk-through of some of our tools and guides, and demonstrates how Smart Impact Capital takes you from questions to tactics. In a recent survey of our users, 83% of those who have raised capital in the past would recommend the toolkit to peers. Why? They’ve gone through capital-raising before, they know how difficult it is, and they know Smart Impact Capital saves them time and makes them more effective. A single 6-month user license to access all 9 modules costs only $350 – that’s less than the plane fare to attend a conference or meet with an investor who may not actually fund enterprises in your industry, geography, or growth stage. Your license gives you access to 100+ reusable tools and templates, step-by-step guides, videos, and curated resources – from wherever you are and whenever you need. Your venture is constantly changing and evolving, and you’ll need to raise capital more than once. The Smart Impact Capital toolkit is designed so you can reuse tools and resources as you grow and evolve, to get different answers as your needs change and customized advice each time you raise capital. Make your fundraising journey easier, more efficient, and more effective!